When you’re shopping for a new car in Pensacola, look no further than the new vehicle inventory at Sandy Sansing. We have a wide variety of makes and models in stock at our dealerships. Whether you’re looking for a Chevrolet, Nissan, Ford, Mazda, BMW, MINI, Chrysler, Dodge, Jeep, RAM or Toyota, you can count on Sandy Sansing Dealerships. Once you’ve browsed our online inventory, it’s time to meet your match in person! Visit one of our showrooms to take a closer look at any of the vehicles we have below. Stop in and check them out. Why Choose Sandy Sansing as Your New Car Dealership in Pensacola? 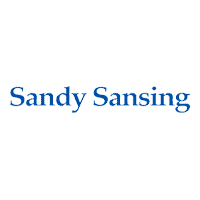 Here at Sandy Sansing, we pride ourselves in offering a comprehensive dealership experience. You get all your bases covered from the moment you walk in and throughout your ownership journey. Our team is standing by to get you behind the wheel of the car or SUV that best suits your budget and driving needs. Contact us today to get the process started.